Beautiful and Finely Woven Ivory Background Antique Persian Tabriz Rug, Country Of Origin / Rug Type: Antique Persian Rug, Circa Date: 1920’s – Featuring a beautiful degree of detail and attention, it is not surprising that this masterful antique Persian rug showcases so much of the traditional Tabriz rug style. 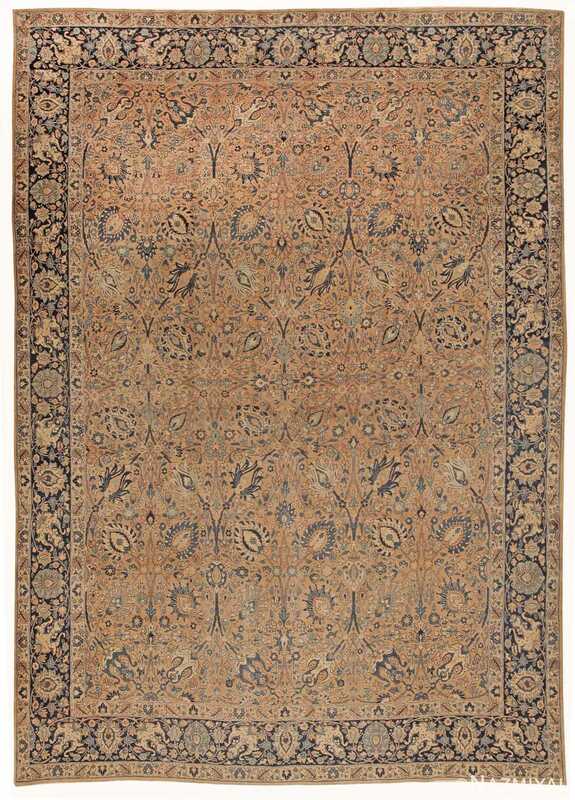 With a rich, earthy ivory color palette that is elegantly offset by the skillful use of black and gray. 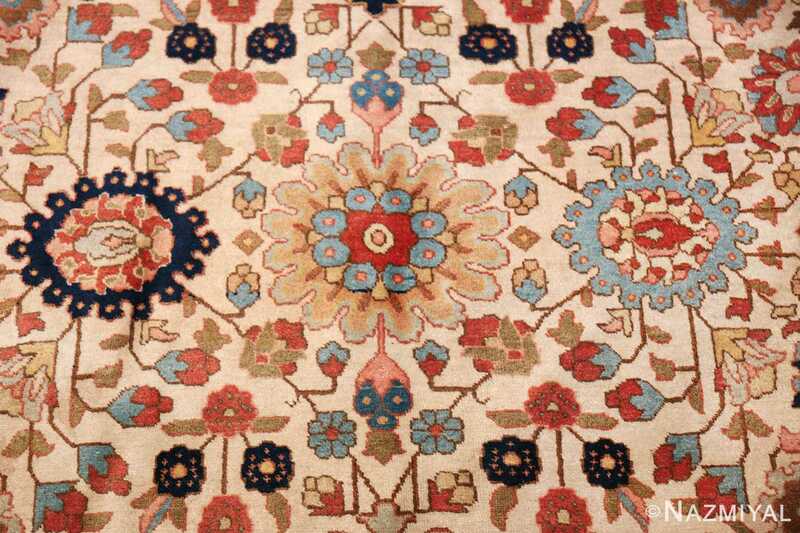 Circular petals and growths dominate the landscape, helping define the presence of natural motifs while the colors themselves allow individuals to focus on various aspects of the masterpiece itself. 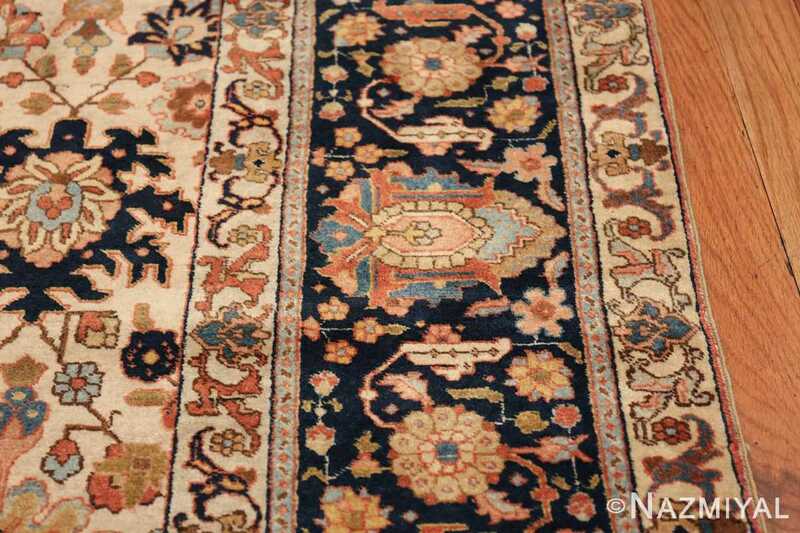 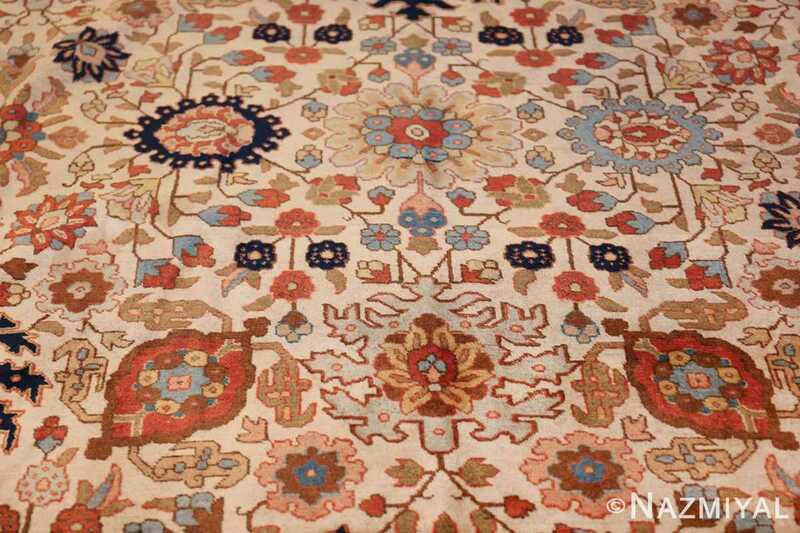 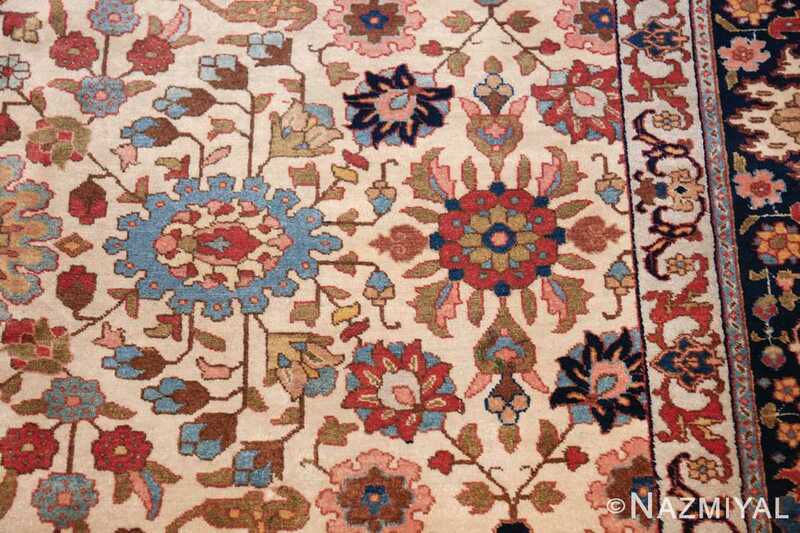 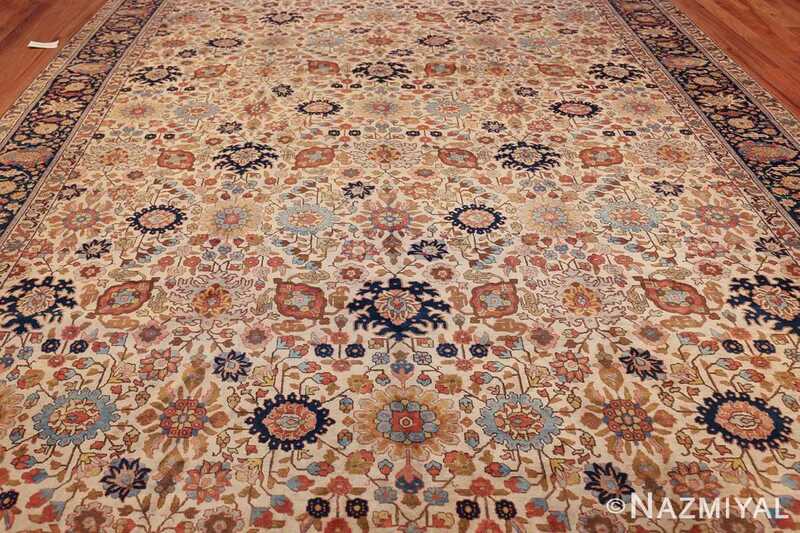 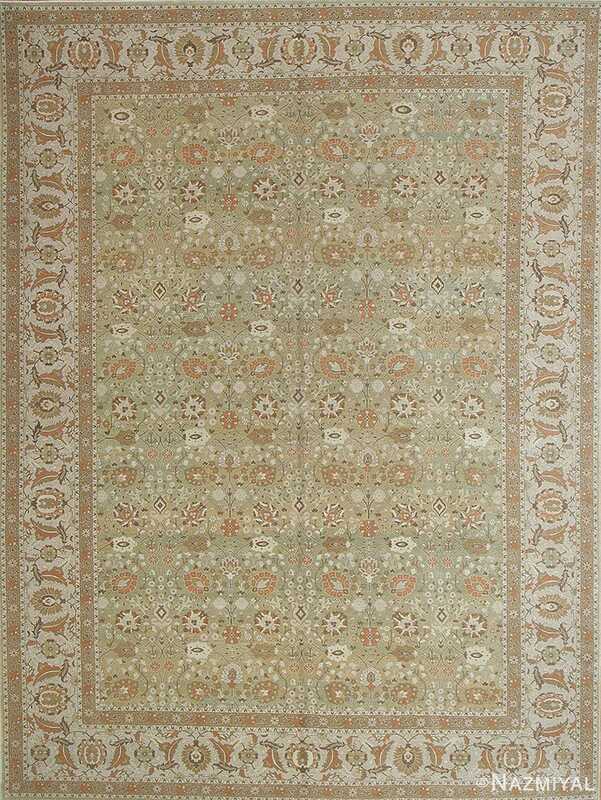 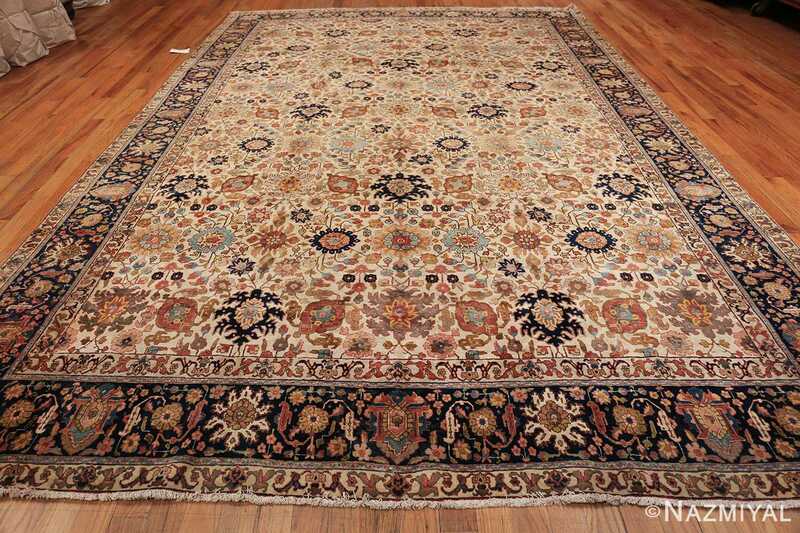 A rich, creamy beige field stands as the backdrop to numerous sections of the antique rug, serving to help create an airy environment in which the other tones can play. 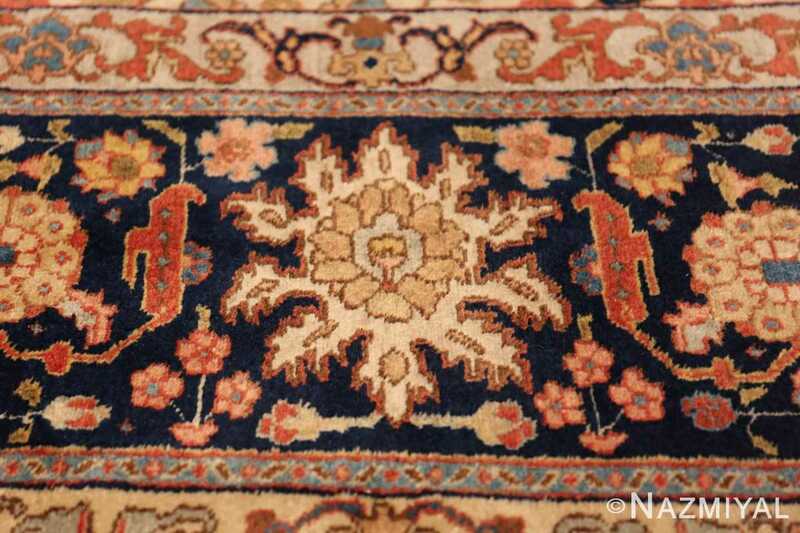 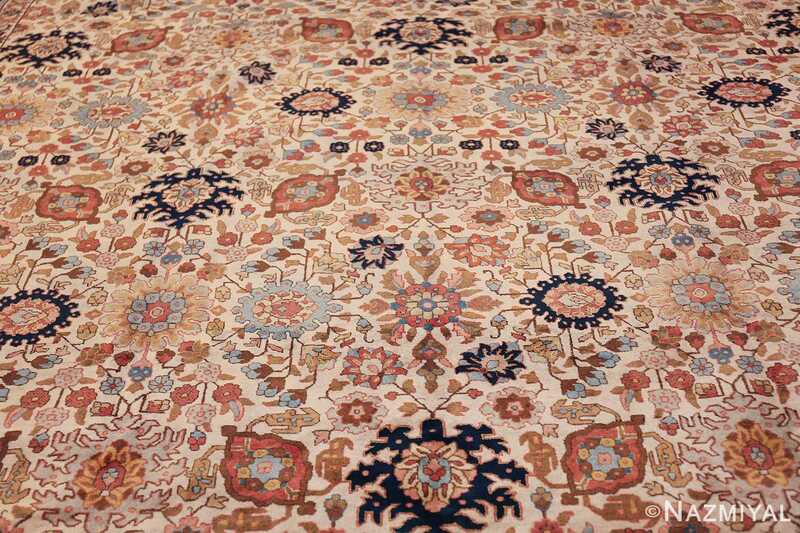 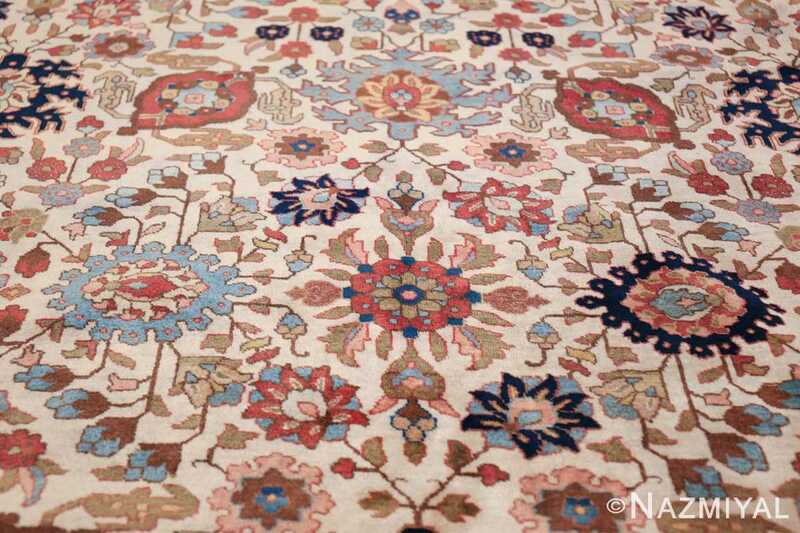 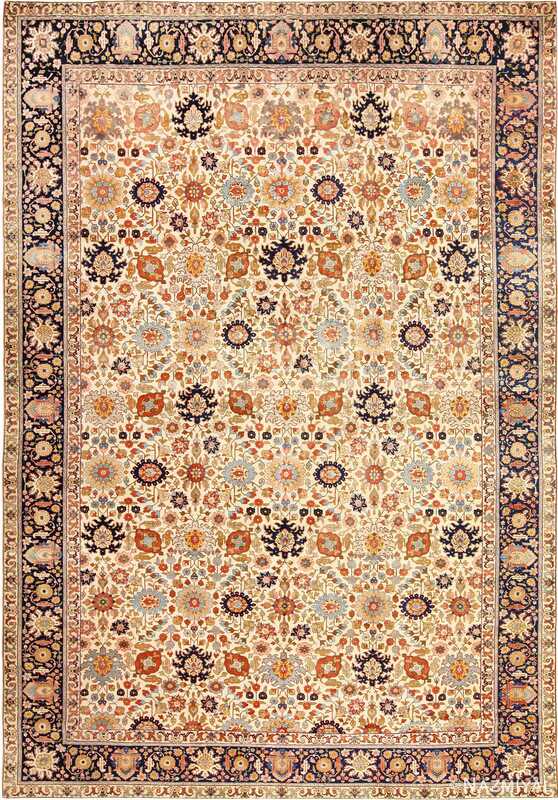 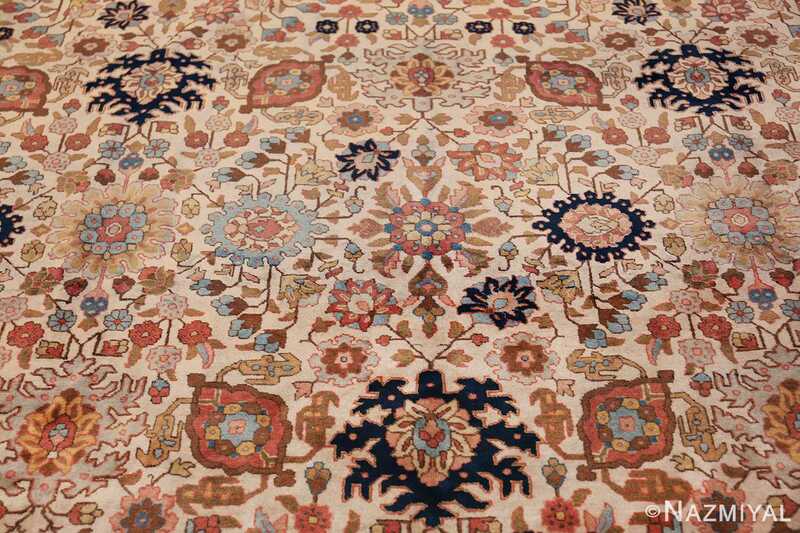 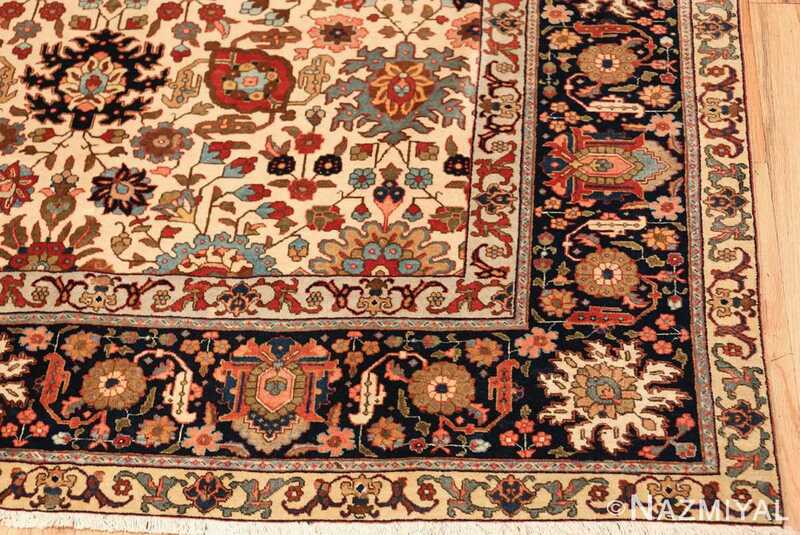 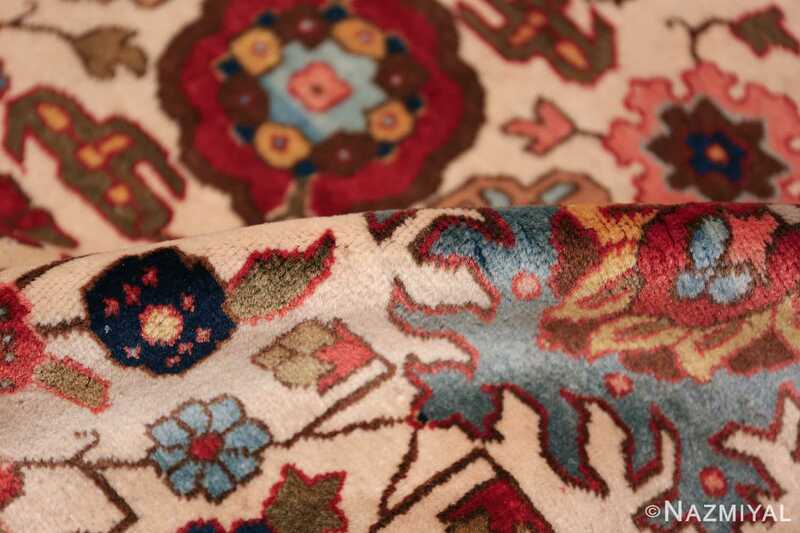 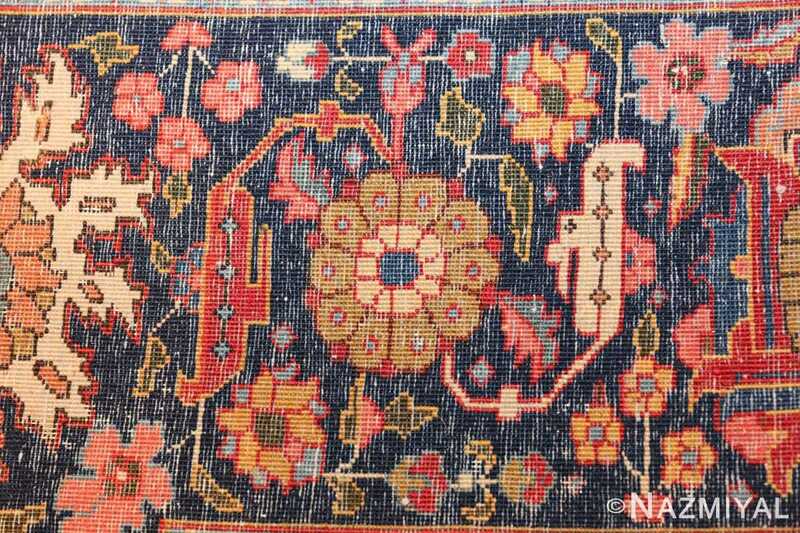 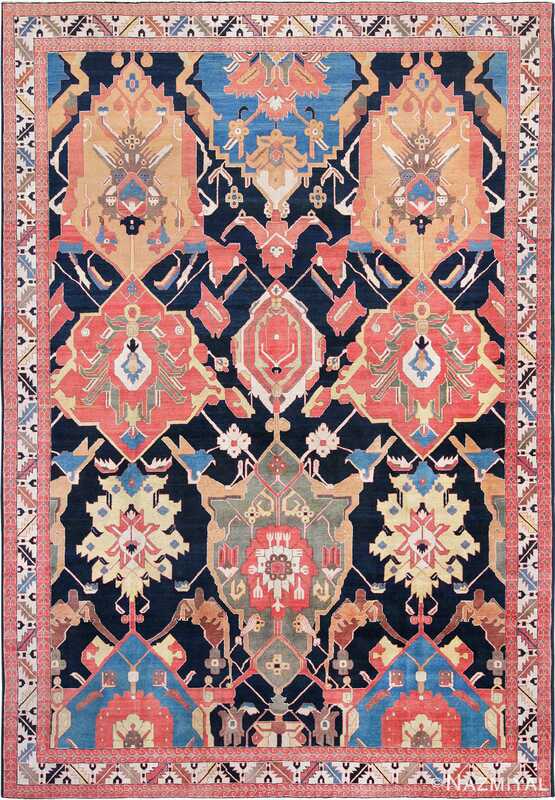 A sumptuous array of vines and palmettes repeats across the field of this elegant antique Tabriz from Persia.